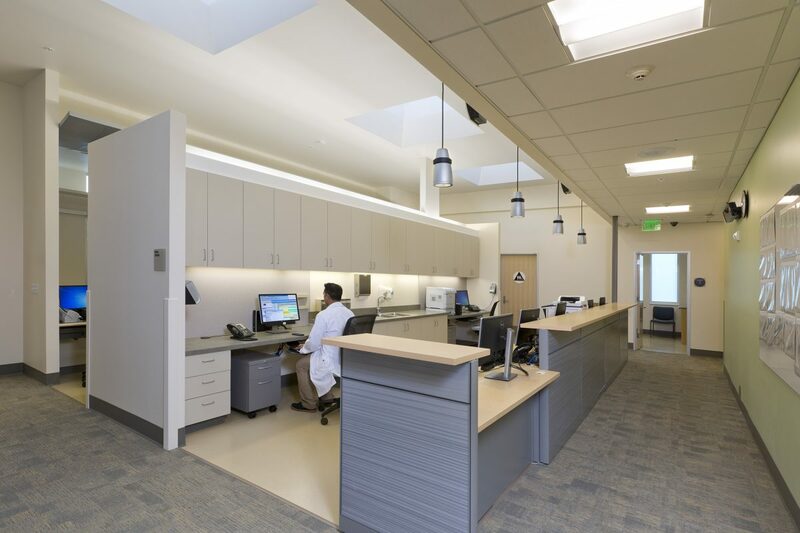 A new OSHPD 3 family clinic blends seamlessly into an existing campus. 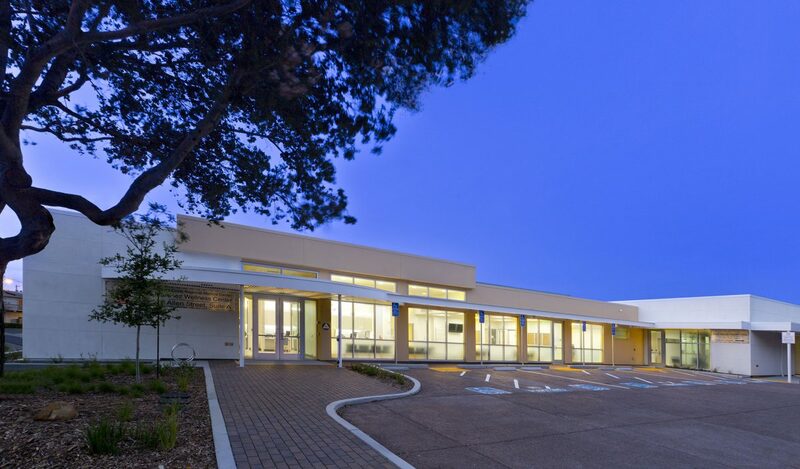 Located on the Contra Costa County Regional Medical Center campus, the George & Cynthia Miller Wellness Center offers integrated behavioral and physical health care for adults and children. 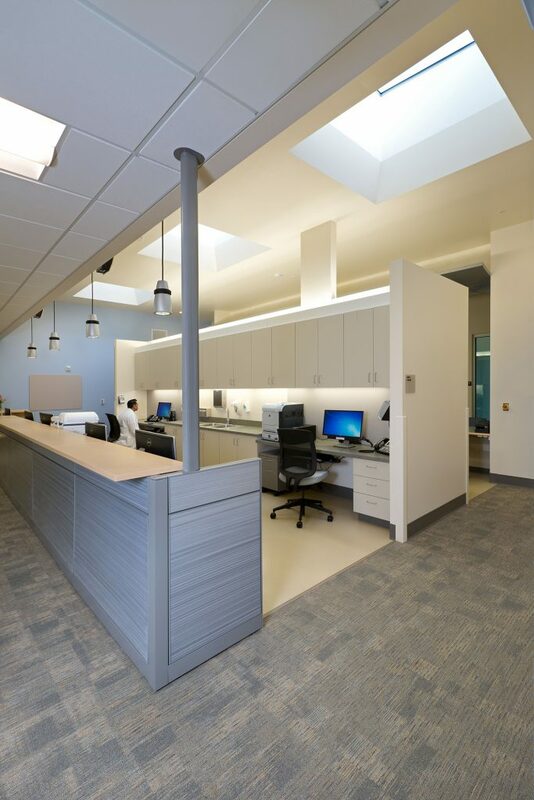 The new 10,000-sf center is designed to receive about 70,000 outpatient visits annually. 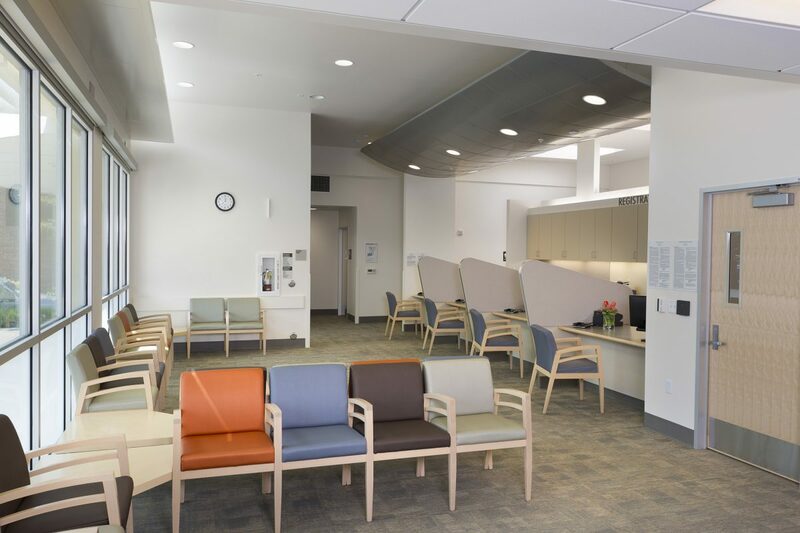 Distinct adult and children’s wings are carefully programmed to enable sharing of the laboratory, medical records storage, and support spaces, while maintaining high security and separation of reception and exam rooms. 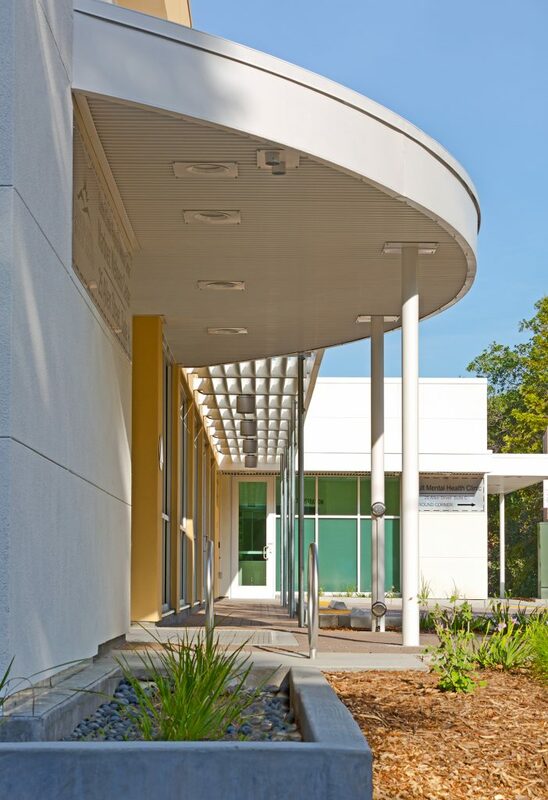 The single-story structure captures the look and feel of the existing campus and integrates into the existing site to provide a comprehensive care environment. 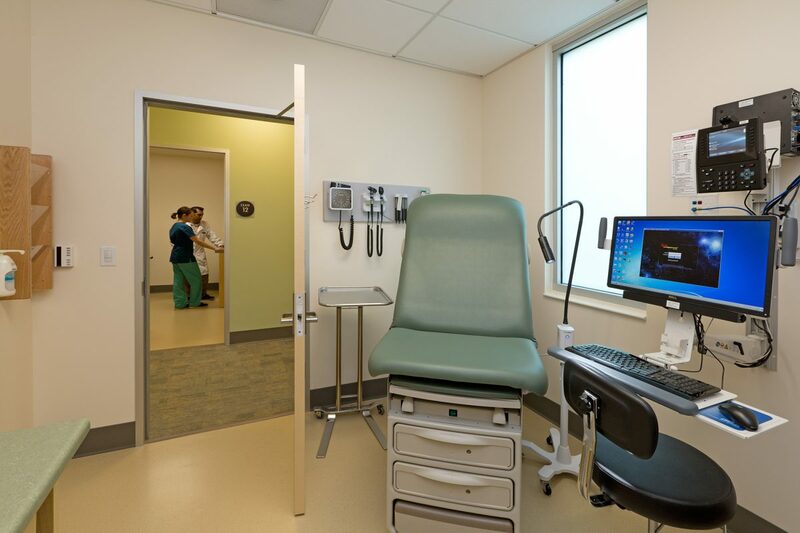 The facility offers primary care, pediatrics, group medical visits and same-day appointments. 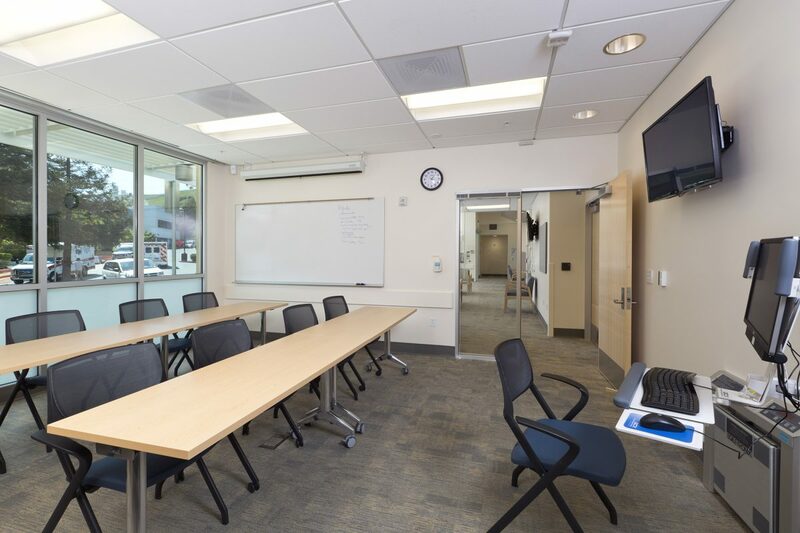 Behavioral health services at the site include psychiatry, short-term individual and family therapy, outpatient care for substance abuse, support groups, and crisis management and referral into long-term treatment for children and adults. The Wellness Center is named is named in honor of Congressman George Miller and his wife, Cynthia Miller. 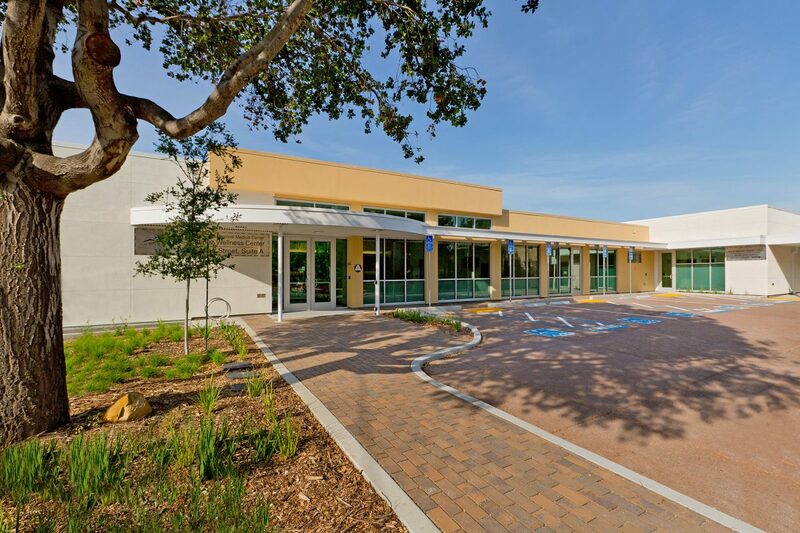 Award: The project was recognized with an American Public Works Association Northern California Chapter Award for 2015 Project of the Year: $5 million – $25 million Structures.